Timing Belt + Water Pump Kit Toyota Landcruiser 1HZ HZJ75 HZJ80 +Tensioner. 41 Yarraman Place, Virginia QLD 4014. Gates Branded Belt - Superb Quality you can count on! Timing Belt - 25mm Width / 94 Round Teeth. All 3 x Front Oil Seals - Viton - Longer life under Constant Engine Heat. 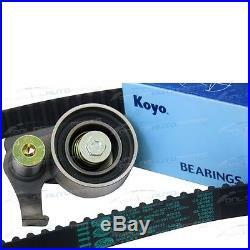 Tensioner Bearing - Japanese Made OE KOYO High Quality. Brand New Aftermarket Water Pump and Gasket. But fear not, we have created a table with more specific and relevant fitment information for you. This is a vehicle specific part, please make sure your vehicle is listed in our verified table below. 6cyl 1HZ 4.2ltr 4164cc. 11seat, 3 Seat, 6 Seat, RV, Troopcarrier. 40th Anniversary, DX, GXL, Standard. 1993 1994 1990 1991 1992 1995 1996 1997 1998. Search more parts for my vehicle. You can also pay in-Store. Please note that not all items can be combined as they do not pack well together. We select the carrier at our discretion to suit your order and area unless you are choosing to use own carrier account. Australia Post - Eparcel Road. Australia Post - Eparcel Express. 7-21 days - No Trackable information available. 5-10 days - Tracking information available to most countries. Item is dead on arrival or damaged. There is a manufacturing fault with the item. The wrong item was sent to you. Please choose your parts carefully and make sure you have your correct vehicle information. With any issues or problems prior to returning the item/s. With your co-operation we will work hard to resolve any issues quickly. Ask a question about this product. Link to formulate a question or check our FAQ. Or visit our store HERE. 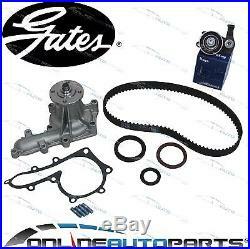 The item "Timing Belt + Water Pump Kit Toyota Landcruiser 1HZ HZJ75 HZJ80 +Tensioner" is in sale since Wednesday, February 08, 2012. This item is in the category "Vehicle Parts & Accessories\Car, Truck Parts\Engines, Components\Timing Components". The seller is "onlineautoparts" and is located in 41 Yarraman Pl, Virginia QLD PH 07 32656228. This item can be shipped worldwide.